Tee and Mo Play Time has arrived! Join Tee and Mo in a collection of six new games for your mobile device. 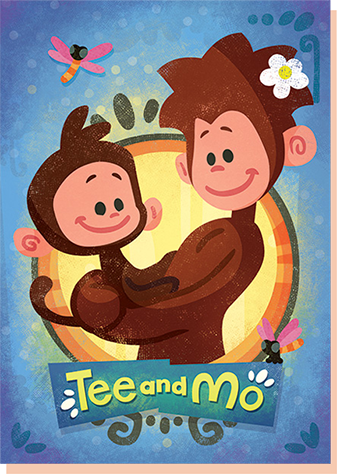 Tee and Mo is all about the daily adventures of a funny and precocious little monkey, Tee, and his clever and unstoppable mum, Mo. 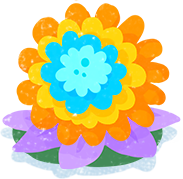 Stories, songs, and games explore everyday situations through the viewpoint of child and parent. While Tee and Mo may want to do different things, there’s always plenty of fun to have by negotiating the challenges of daily life TOGETHER. Their light-hearted approach to problem-solving and teamwork inspire imaginative play and lead to care-give and child bonding both on and off screen. 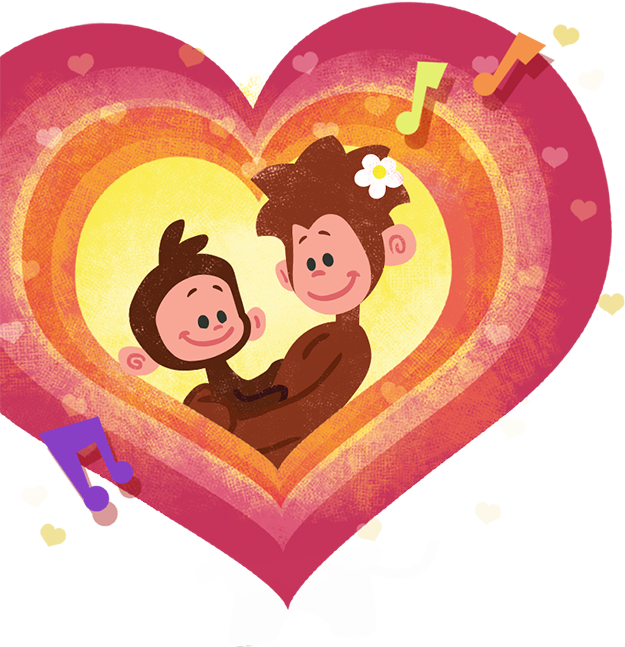 Two new songs to sing together, about a little monkey and his monkey mum who love each other very much. 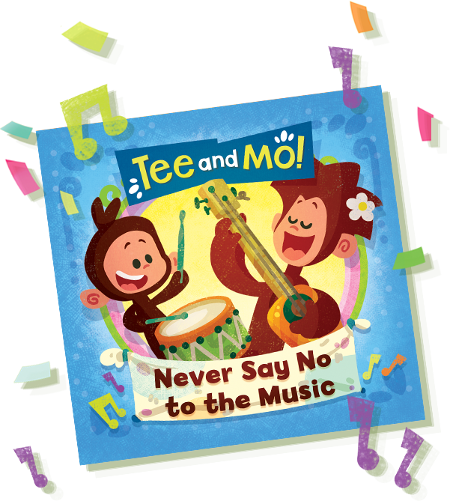 Get the new album from Tee and Mo! An album of music to sing together, about a regular day in the life of kids and their families, who’d also perhaps appreciate an alternative to ‘Wheels On The Bus’. RECEIVE UPDATES FROM TEE AND MO! Tee and Mo have won the interstitial category at the Prix Jeunesse International festival in Munich. Prix Jeunesse promotes quality television for young audiences, so it is a real honour to be recognised with this award! We entered the song ‘Are We Ready To Go?’ into the interstitials category, for short animations and films from 2-4 minutes. 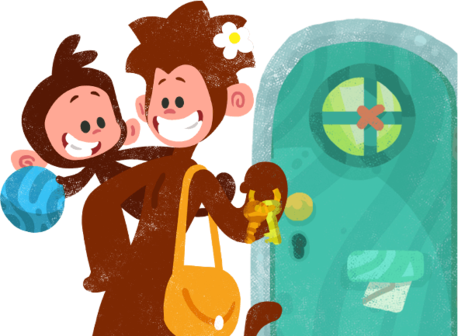 This is song with animation where Tee and Mo are getting ready to leave the house, and you can watch it in the player below. The award was given on the festival’s Monday evening, after a long screening session featuring all ten entrants. The winners were decided by the audience, who loved the song so much that they shouted for an encore! The evening ended in a big celebration, with everybody singing along. We’re so delighted with our Prix Jeunesse prize that it has taken pride of place here at Tee and Mo HQ. We’re encouraged to keep making amazing animations for you all and hope that this is a sign of great things to come! There are many more songs and animations over on our videos page, please watch them and help spread the word by sharing with your friends. The Tee and Mo website is live! Tee and Mo on CBeebies!